Growth fusion is a boutique consulting and coaching firm with a focus bringing out the best from organizations and its leaders. We align ourselves with organizational goals, at the strategic level as well as with ROI and driving top-line revenue. Our goal is to work with organization leaders and drive a variety of ROI-based initiatives that help teams thrive, increase employee well-being and accelerate revenues. We are based in Palo Alto, CA. Rajesh has a varied background. In the last 10+ years, he has consulted with venture funded start-ups on marketing initiatives. Previous to that, he worked full-time with two start-ups and with management consulting firms McKinsey & company and Bearing Point. Through his consulting engagements, he worked in a variety of roles and gained deep expertise in driving Customer Acquisition and product demand via multi-channel integrated marketing. In his previous roles, he has overseen multi-million dollar online marketing budgets that generated ROI of several hundred percent. 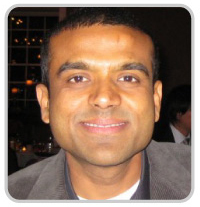 Rajesh is a Marketo expert and was named by Marketo as a “Marketo Champion” in 2011. In his executive coaching practice, Rajesh works with leaders and other executives to develop self-awareness, emotional intelligence and empathy, which have been shown to create high-functioning teams and organisations. Rajesh has a Masters degree in Consumer Behavior and another one in Cognitive Psychology, both from Purdue University in West Lafayette, IN. His undergraduate degree is in engineering from Bangalore, India.